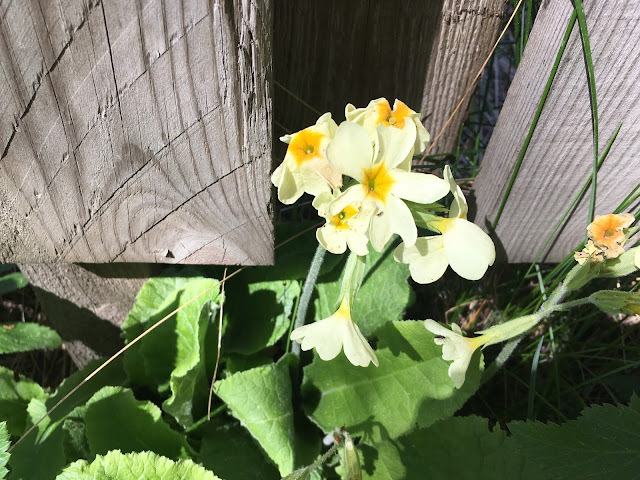 Last year there was one primrose plant right next to our fence. 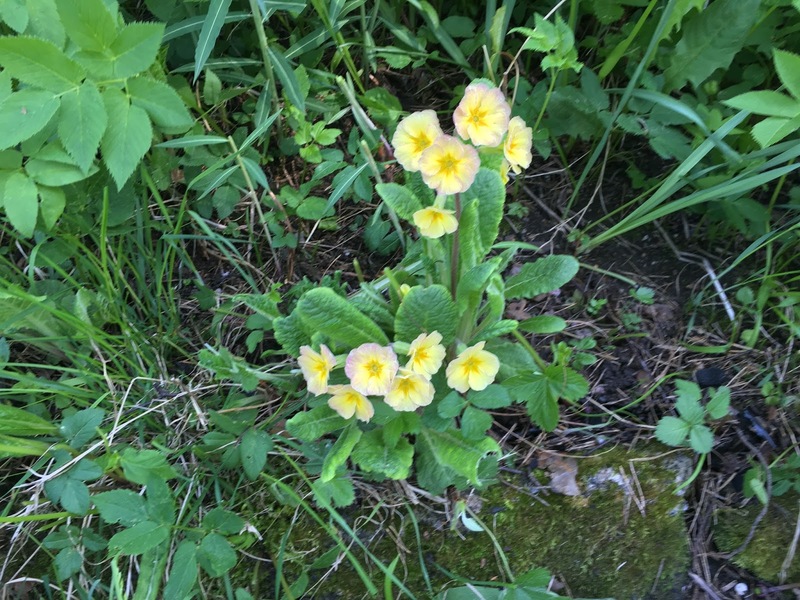 This spring I noticed several more in the flowerbed at the edge of our backyard. Maybe they were there already last year too, covered by all them tall weeds, and I just didn't notice them. 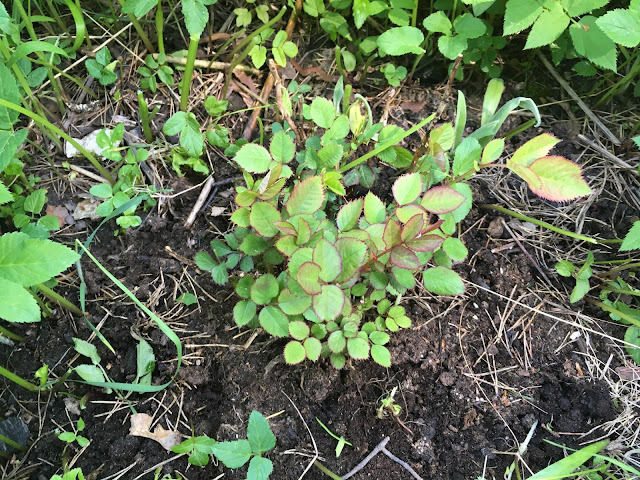 Now I pulled out the weeds around them, and the roses I planted last summer, to give them a chance to grow and prosper (and be seen). 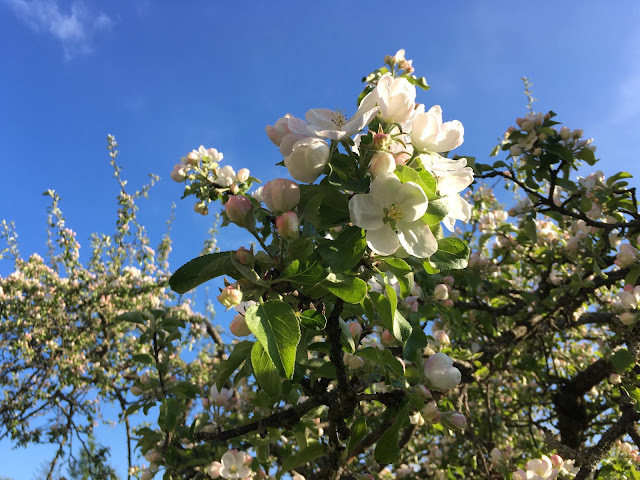 Of course, the apple trees also are looking more and more brilliant as more flowers open their petals. 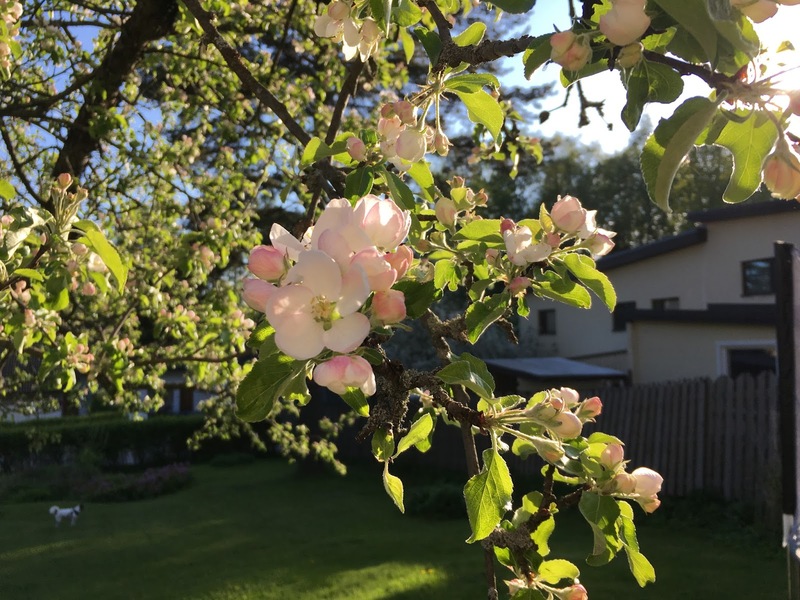 Yesterday evening they were already looking so nice, especially as the evening sun rays hit them diagonally.